DOJ threatened to confiscate federal criminal justice funding from cities, counties and states. 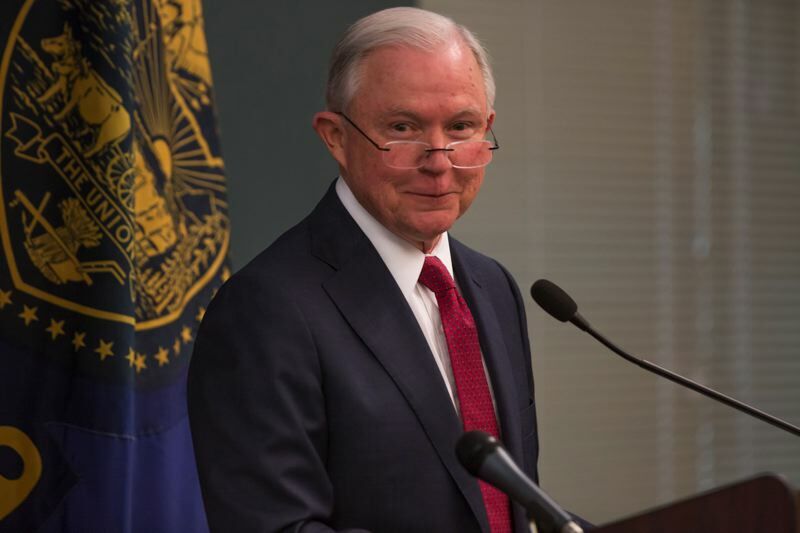 SALEM - The U.S. Department of Justice has threatened to subpoena local officials and to confiscate federal criminal justice funding from Oregon and 22 other jurisdictions if they continue to refuse to assist authorities in enforcing federal immigration law. The letter was sent to the states of Oregon, California and Illinois and certain cities and counties in those three states and in the states of Kentucky, Florida, Mississippi, Massachusetts, New York, New Mexico, Vermont and Colorado, according to the DOJ. Federal authorities contend that the jurisdictions' policies may violate federal law and conditions of Edward Byrne Memorial Justice Assistance Grant funding, a primary source of federal funding for state and local law enforcement agencies, including police and sheriff's departments. Oregon law prohibits law enforcement officers from using state resources to help with the apprehension of undocumented residents in the state. Gov. Kate Brown defended the state's sanctuary laws and said she would uphold them. "Oregon will not be bullied by a Trump Administration that is focused on dividing our country," Brown said in a statement Wednesday. "Oregon's laws are in place to uphold the civil rights of all Oregonians, and the federal government cannot, under the U.S. Constitution, force state law enforcement officers to implement the policies of this administration." 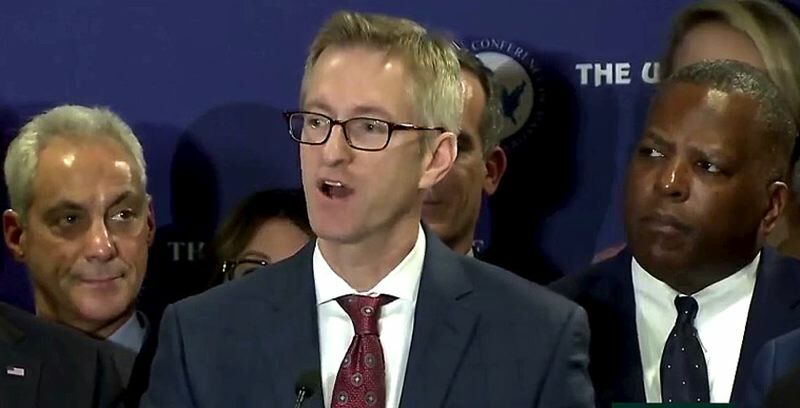 Portland Mayor Ted Wheeler, who was in Washington, D.C., for the U.S. Conference of Mayors, blasted the letter as demonstration that "this administration lacks a moral compass." "The people of this country should hold Jeff Sessions and the White House accountable for this action," Wheeler said as several other mayors waited their turn to speak. "They need to know that this is not what the people of the United States of America agreed to. This is not the value of America. This is not who we are fundamentally as a people. And we will not stand for it." Officials at the DOJ remain concerned that Oregon's laws, policies and practices may violate conditions of federal grant funding, Jon Adler, director of the U.S. Bureau of Justice Assistance, wrote in the letter. Adler requested that state officials send DOJ several documents related to the state's sanctuary status by Feb. 23. "The department fully anticipates your complete cooperation in this matter," Adler wrote. "Should you fail to respond in a complete and timely manner, the department will subpoena these documents..."
If the state refuses to comply, Adler threatened to seek the return of all Edward Byrne Memorial Justice Assistance Grant funding awarded to the state in 2016 and deem the state ineligible to receive funding. Oregon receives about $4 million in Byrne Justice Assistance Grant funding from the U.S. Department of Justice every two years, according to the governor's office. U.S. Attorney General Jeff Sessions has said that sanctuary policies jeopardize the safety of Americans. "Jurisdictions that adopt so-called 'sanctuary policies' also adopt the view that the protection of criminal aliens is more important than the protection of law-abiding citizens and of the rule of law," he said in a November statement. • Oregon Revised Statute 181A.820 — on the books for the past three decades — bans law enforcement officers in the state of using agency money or other resources to detect individuals who are suspected of nothing but violating federal immigration laws. Revisions to the grant's compliance measures require recipients to communicate with Immigration and Customs Enforcement, allow agents to meet with individuals suspected of being in the country without proper documentation and to give 48 hours' notice of any release.